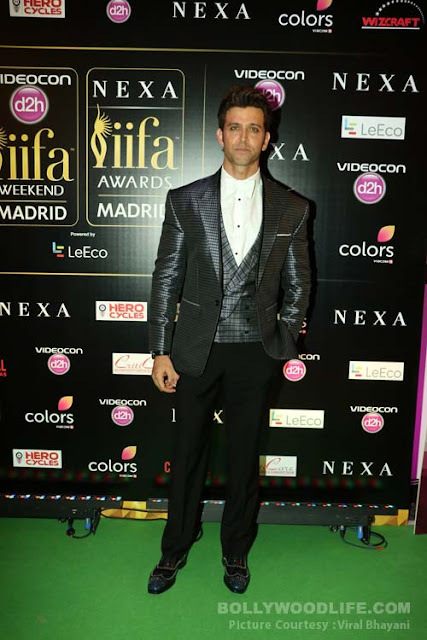 IIFA 2016 is currently storming the internet as the Bollywood stars took glitz and glamour to a completely new level. They rocked the gala event and most of them looked splendid in the beyond fabulous dresses. From the spruce looking men to the ravishing women, it was totally “an alluring night on display”. So today I’ll be doing a quick post on who wore what..
Our exotic desi girl looked as attractive and gorgeous as ever in a Schiaparelli couture gown paired up with Cartier jewellery. The bold and beautiful actress who is currently making it big in Hollywood bagged two awards at the IIFA 2016 - ‘Woman Of The Year’ and ‘Best Actress In Supporting Role’. She was styled by Cristina Ehrlich. How does she always manages to steal the limelight with her outfits?? Priyanka Chopra is truly every girl’s perfect fashion idol. I guess this year’s award shows are made only for her. She is the current reigning queen of Bollywood and she made sure she looks like a queen too. She looked absolutely gorgeous in a Sabyasachi outfit which is a combination of a Godet skirt and caped jacket. Keeping the place of host in mind, it seemed to have been inspired by Spanish bull fighters. 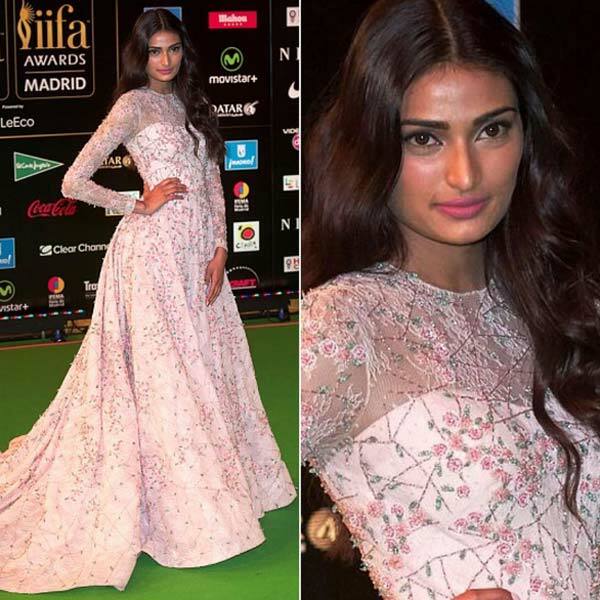 The IIFA 2016 best actress award winner complemented her outfit with diamonds and emerald jewellery from Tanishq and rings by Anmol Jewelers. Killer smokey-eyes, bronzed cheeks and the slicked ponytail to round off her look. Shilpa Shetty wore a white, cut-out Shantanu and Nikhil gown. It highlighted her perfectly toned figure and she looked absolutely stunning. The Alone actress, who is no longer alone (eekks.. bad sense of humor Madhubani), was spotted with her husband Karan Singh Grover. She wore a dark blue coloured Abu Jani and Sandeep Khosla gown. The plunging neckline added to the sensuous personality of the bombshell. One of my most favorite looks. I am currently in a “flared midi dresses” phase and I can’t stop admiring her look. Sonakshi Sinha ditched the regular and too clichéd ‘floor gracing’ red-carpet gowns and went for a Abu Jani and Sandeep Khosla mid length, white dress. She looked so fresh and young and like the ultimate diva in this gorgeous ensemble. The angelic-looking actress, Dia Mirza looked went for a mint-green Nahul Sen gown. Didn’t like the look much. She walked the green carpet wearing a dark green Shantanu and Nikhil outfit with a sweetheart neckline. The shoulder dusting golden earrings and the head band from Outhouse added boho-chic element and complemented her look to perfection. She received the Best Debut Female award for her performance in 'Dum Laga Ke Haisha'. She wore this Shantanu & Nikhil lace strapless gown. Her deep red lips, straight hair and french manicured nails were absolutely gorgeous. Really liking this girl’s green carpet looks. She looked ravishing in this La Bourjoisie gown with a deep neck and an interesting sailor-like flap at the back. 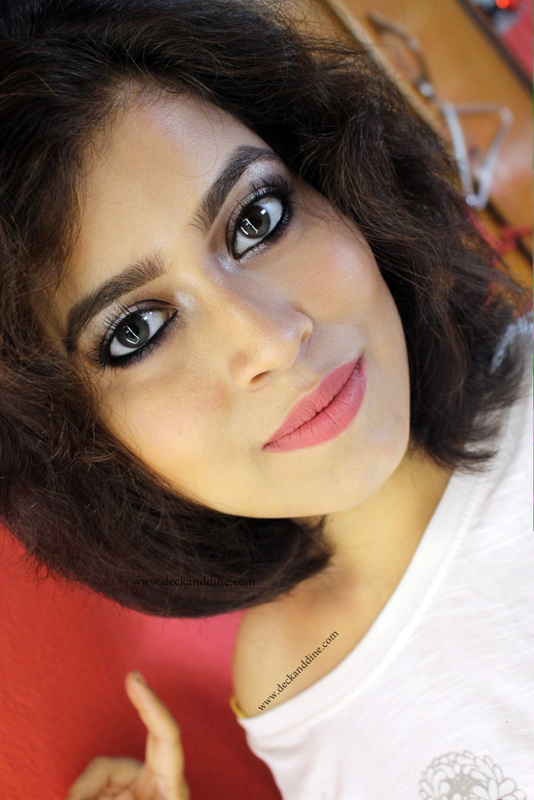 The bold slit, deep maroon lips with that bob cut turned heads at the green carpet. 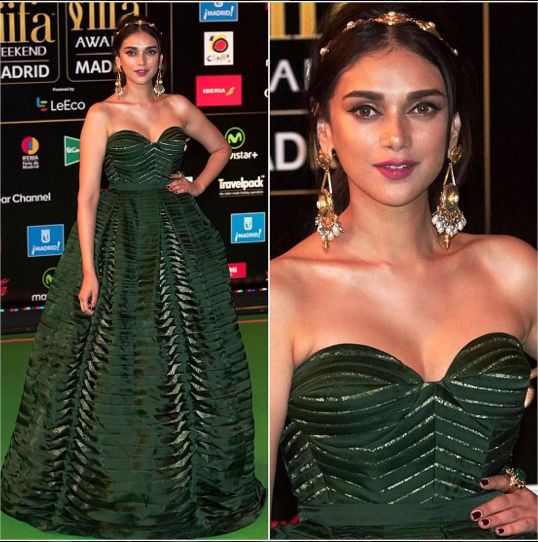 She rocked the green carpet in Namrata Joshipura gown. The deep neckline and back looked great on her. She added Swarovski earrings to complete her look. The Hero actress went for a Rami Kadi Couture outfit. Liked the gown, but not on her. Also she could have done something better with her hair. I am truly a fan of her looks, but didn’t really like her this time. A white shirt teamed with flared white skirt from H & M.
She picked up a maroon Falguni and Shane peacock gown and paired it with a simple set of diamond studs and a shimmery clutch. He looked dapper in a shiny blazer and a bow tie. Wearing a suit that compliments the color of his eyes was pretty artful. Now a fan of this msn, but can’t deny he is really doing well in his career. Awarded “Best Actor” , he is one of the few who could pull of a shiny blazer like that so cool-ly. The man with the dreamy eyes and who have won millions of hearts, wore a black three-piece suit with a white shirt, and hair pushed back. 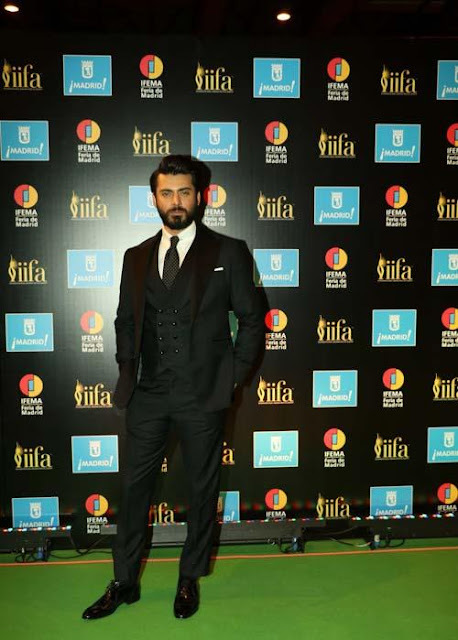 So who do you think stole the show at IIFA 2016? Drop in your comments below! Love priyanka's outfit. Great post. true, sonakshi has ditched the kind of ritual of floor length gowns but its really for good. she looks gorgeous.